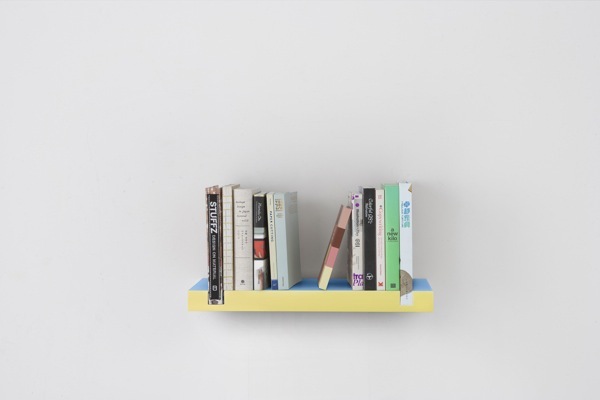 "Beijing-based designer Chan Hwee Chong has created the “Minimal Bookshelf”, a simple but clever storage solution that incorporates the books it holds in its design and construction. 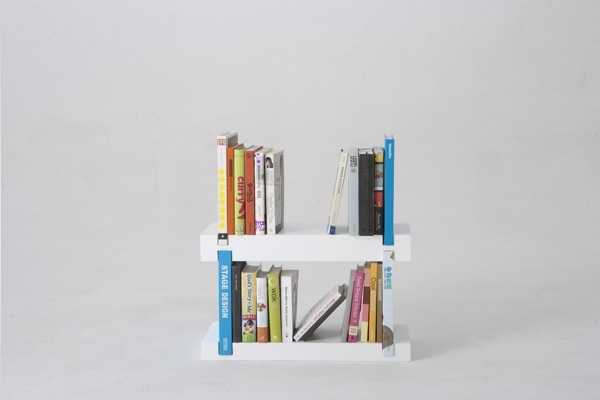 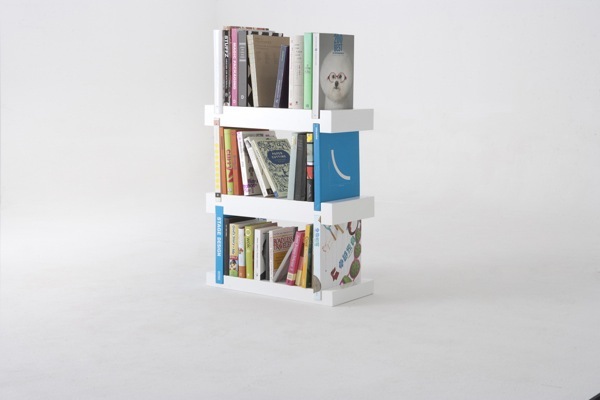 The bookshelf features grooves cut into both ends of a shelf, which the user can slot books into to serve as bookends. 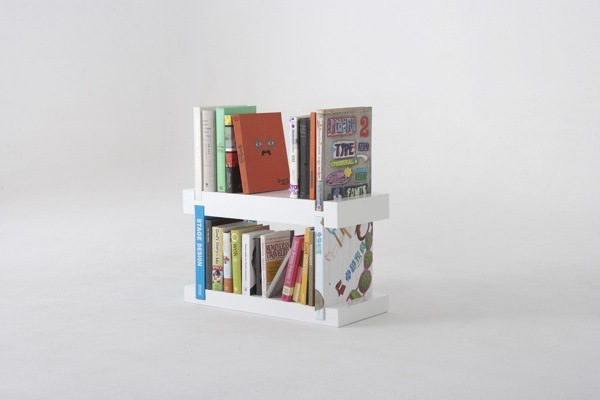 When a single shelf becomes insufficient and more have to be stacked on, the books standing in the grooves would also serve as the pillars of the growing bookshelf. 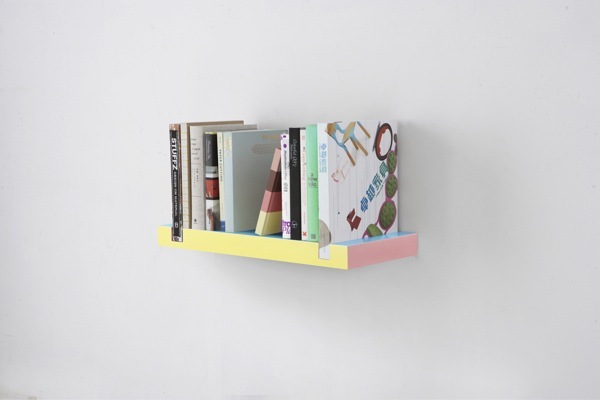 Available in 20 colors, the Minimal Bookshelf is a great option for those with a growing book collection who also want to keep things simple and stylish. 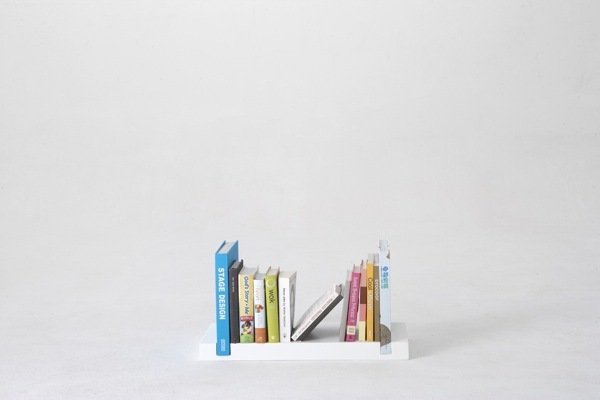 The only downside to this design is that one would have to find books of suitable width that are of the same height for it to work nicely. "